Recent acquisitions by the Beinecke Rare Book and Manuscript Library shed light on the life and work of artist Georgia O’Keeffe and her husband, photographer Alfred Stieglitz. The collections document O’Keeffe’s public face and the business of showing and selling her art, and also her private friendships, casual observations, and unguarded moments. Several of the acquisitions include not only letters and manuscripts, but also photographs of O’Keeffe and her friends and family. These photographs depict her residences at Abiquiu and Ghost Ranch as well as many other settings (a beauty parlor, while hiking, shopping, driving, and boating). The artist’s legacy was managed and promoted for two decades by the Georgia O’Keeffe Foundation, whose records document the distribution of O’Keeffe’s assets and the perpetuation of her artistic legacy. The new additions complement Beinecke’s holdings relating to O’Keeffe and to other American artists. Beinecke continuously adds to its exciting collection, which consists not only of vast and comprehensive collections relating to O’Keeffe and Stieglitz, but also numerous small collections and individual letters, manuscripts, photographs, works of art, and books. 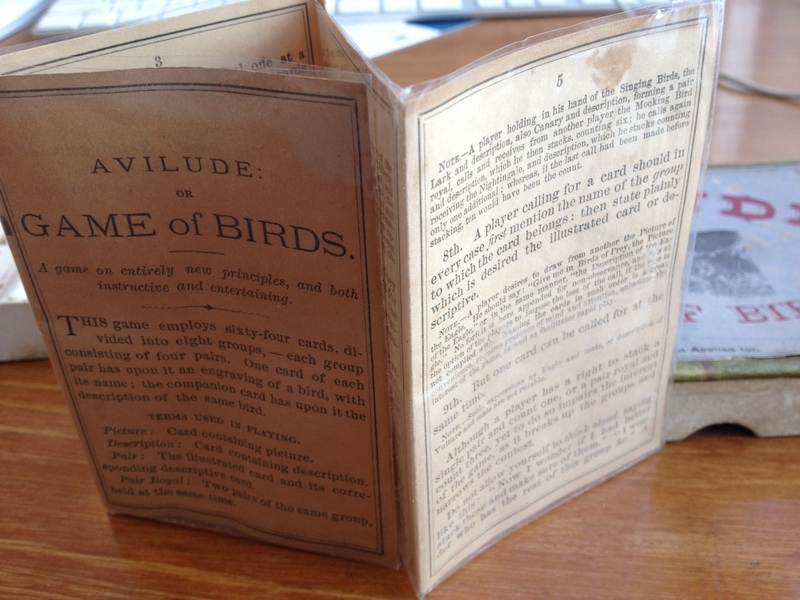 The lives and work of American artists and arts communities are well documented in Beinecke’s Yale Collection of American Literature, especially at points of intersection between literature and the visual arts. Activities around Alfred Stieglitz’s important photography and art galleries, 291 and An American Place, and his influential publication Camera Work, as well as conversations and exchanges among artists and writers in the Southwest are documented in the Alfred Stieglitz/Georgia O’Keeffe Archive; the archive includes work, correspondence, and writings by artists Anne Brigman, Marsden Hartley, Paul Strand, Edward Steichen, and others. 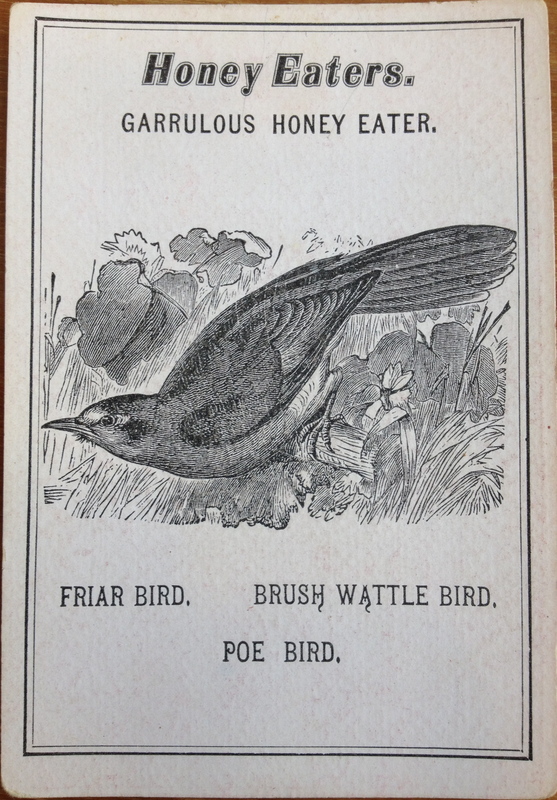 These collections are available for research. 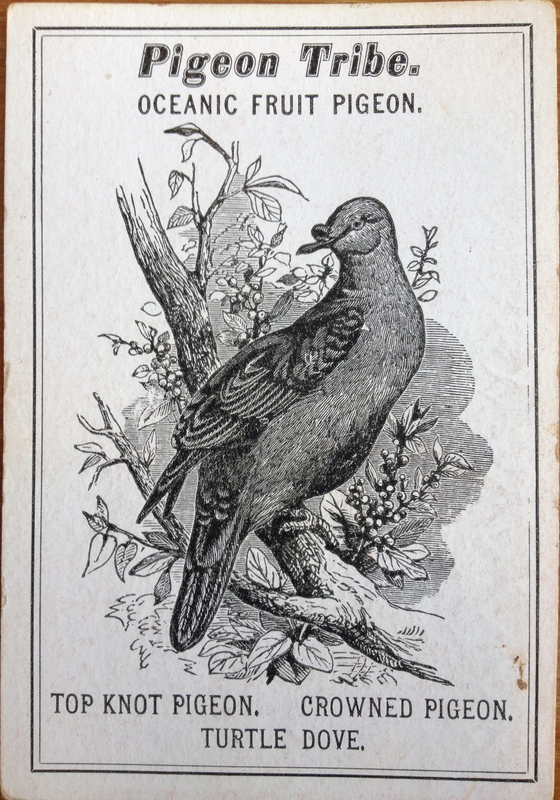 Researchers may contact the Beinecke Library Reference Staff for further information. Selections from Beinecke’s collections are included in the recent publication of letters by O’Keeffe and Stieglitz, available from Yale University Press. 1938 Sept 11, Alfred Stieglitz / Georgia O’Keeffe Archive (YCAL MSS 85). 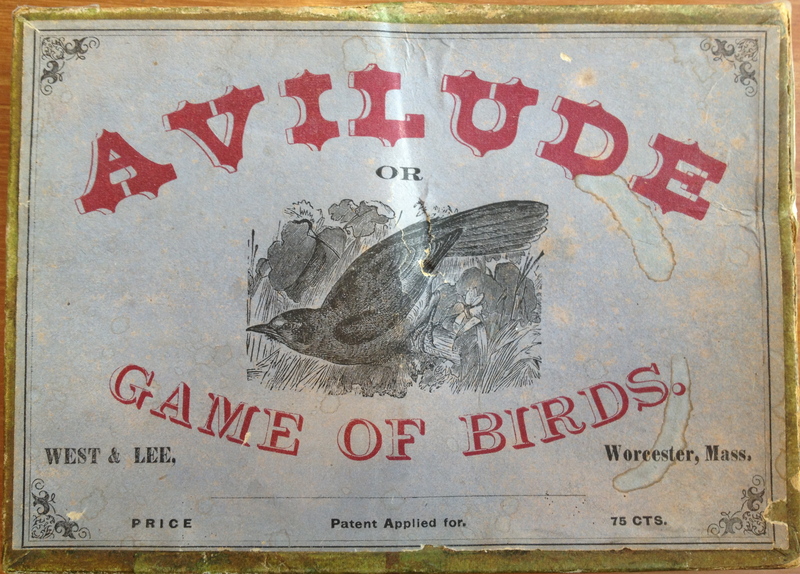 Avilude, or Game of Birds, (Worcester, West & Lee, 1873) – a complete game of the card game, including the original box, and play intructions. 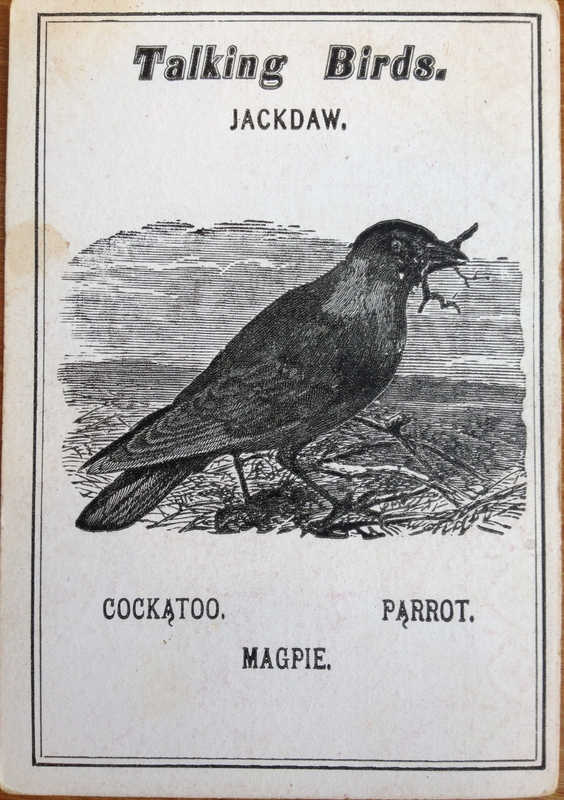 Circa 1854-1865 by O. B. Silver.
. . . and a sale on China, Glass and Linen Goods. Now We Are Five . . .
Today marks the fifth anniversary of the Cabinet of Curiosities. Thanks to all of our readers, supporters, commentors, detractors, correctors, oglers, ogres, and friends. Beinecke Library archivist Matthew Mason has identified the photographer of an important photograph documenting Sigmund Freud’s 1909 visit to Clark University; though the image is well known, until now the photographer has been unidentified. 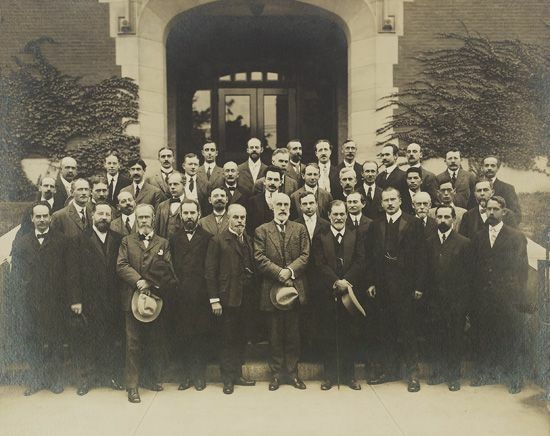 Mason’s essay can be found online here: “Providing Context: Schervee & Bushong Group Portrait Photograph of Sigmund Freud and Participants in the Psychology, Pedagogy and School Hygiene Conference at Clark University, Worcester, Massachusetts, September 1909,” in Views, July 2012, Volume 26, Number 2. In September 1909, G. Stanley Hall, the president of Clark University, Worcester, Massachusetts, invited Austrian neurologist Sigmund Freud to deliver lectures on the discipline of psychoanalysis at Clark’s Psychology, Pedagogy and School Hygiene Conference…The event drew widespread media interest in psychoanalysis and attracted public recognition to Freud’s work. For the lecture, Freud earned an honorarium of $750 (approximately $18,000 when adjusted for inflation for 2012), as well as an honorary doctorate from Clark University…At one point in the conference a photographer created a group portrait of forty-two participants. He was from the studio of Herman Schervee and John Chester Bushong, in Worcester, Massachusetts, where Schervee and Bushong operated their photographic studio from 1900 to 1923…The photograph includes a “who’s who” of pioneers in psychiatry and psychology, including Freud, Jung, Ferenczi, William James, Franz Boas, and others. Additionally, the group includes war criminal Edwin Maria Katzenellenbogen, who served as the prison doctor in the Buchenwald concentration camp during World War II. 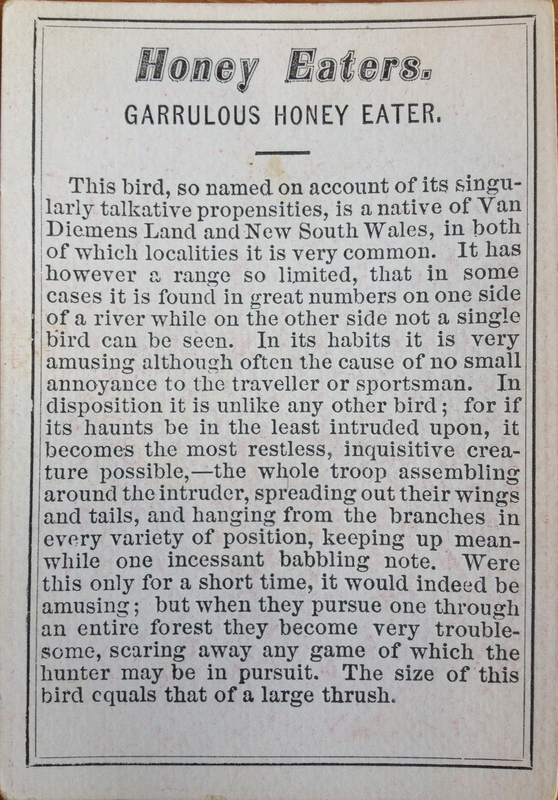 A catalog record describing the print at the Beinecke Rare Book and Manuscript Library is available at http://hdl.handle.net/10079/bibid/10455573. A new guide to the Donald Windham and Sandy Campbell Papers is now available online: Guide to the Donald Windham and Sandy Campbell Papers (YCAL MSS 424); a brief description of the collection is available in Orbis: Donald Windham and Sandy Campbell Papers. Donald Windham (1920-2012) was an American novelist and memoirist; Sandy Campbell was an American actor and publisher of the Stamperia Valdonega in Verona press. The Donald Windham and Sandy Campbell Papers include writings, correspondence, photographs, artwork, and other papers by or relating to Donald Windham and Sandy Campbell and to their circle of friends, including writers and artists such as Tennessee Williams, Truman Capote, Harper Lee, Carl Van Vechten, Paul Bowles, George Platt Lynes, Paul Cadmus, Carson McCullers, Marianne Moore, Christopher Isherwood, E. M. Forster, and Joseph Cornell, among many others. The Donald Windham – Sandy M. Campbell Literature Prizes at Yale were established in 2011 to honor the literary legacy of Windham and Campbell; prizes will be awarded annually and will recognize both established and promising English language writers in fiction, non-fiction, and drama. The first awards will be announced in 2013. For more information about the prizes, visit: The Donald Windham – Sandy M. Campbell Literature Prizes. 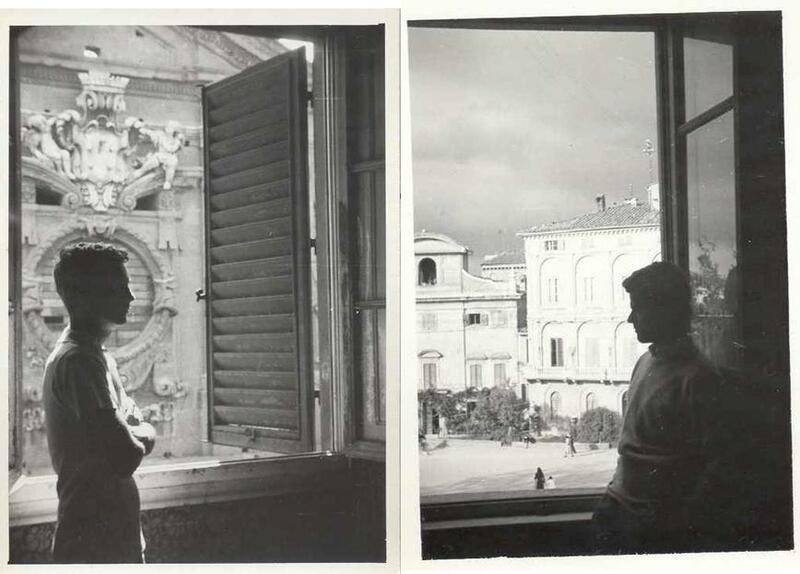 Images: Donald Windham, Florence, 1950; Sandy Campbell, Siena, 1950 (YCAL MSS 424, Box 35). A new guide to the Eve Arnold Papers is now available online: Guide to the Eve Arnold Papers (YCAL MSS 611); a brief description of the collection is available in Orbis: Eve Arnold Papers. Eve Arnold, American photographer and photojournalist, was born in Philadelphia on April 21, 1912, and died in London on January 5, 2012. She joined with Magnum Photos in 1951, became an associate member of the photographers’ collective in 1955, and in 1957 its first female full member in New York. Arnold traveled around the world photographing events, politics, personalities, society, and material culture in locations including Afghanistan, Africa, Cuba and the Caribbean, India, Europe, Egypt, the Soviet Union/Russia, the United Arab Emirates, and Yugoslavia, as well as the United States and the United Kingdom. She also documented American celebrity culture through her images of film stars Marilyn Monroe, Marlene Dietrich, Joan Crawford, and others at work, play, and home, and was the official photographer on more than 35 movie sets, most notably The Misfits, a 1961 American drama directed by John Huston. Eve Arnold photographed groups as diverse as the1952 American Republican National Convention, Malcolm X and his Muslim followers, and Mikhail Baryshnikov and the American Ballet Theatre dancers. Arnold wrote more than a dozen books including her autobiographical work In Retrospect (1997), and produced and directed a film, Behind the Veil (1972), which examined harem life in eastern Arabia. Image: Eve Arnold, photograph of Silvana Mangano at the Museum of Modern Art, NY, undated (copyright Estate of Eve Arnold).